Are you looking for a reliable, experienced auto repair service in La Jolla, California. Our dealer alternative facility is located 10 minutes away from La Jolla. We have been providing Jaguar repair and service since 1959. If you own a Jaguar, Land Rover or an Audi and live in La Jolla, California, Our facility is a convenient location that provides above dealer level service.We employ ASE certified master mechanics. Our technicians are constantly trained. We have factory diagnostic/programming equipment for Jaguar, Range Rover, and Audi. We provide car washes with services performed. The original specialists understands that for many people their cars are far more than just transportation. So we will not only service and repair your car, but improve the performance through specialized setups specifically designed for your vehicle type. 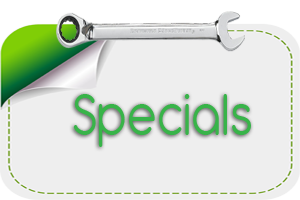 Bring you car in today for a free Visual inspection and see what Original Specialists No Hassle Guarantee is all about! Do you need an experienced Jaguar repair service in La Jolla, California? We encourage you to give us a call. The original specialists have been providing quality Jaguar repair and service since 1959. Our equipment and knowledge completely sets us apart from the competition. Experience, equipment and knowledge play a big part when working with Jaguars. There is no room for error. That is why we use the latest diagnostic tools to pin point the problems. If you are a Land Rover owner that lives in La Jolla, CA Our service center is the closest dealer alternative facility that offers a one – stop service & repair center for all Land Rover models: tires, brakes, suspension, wheel alignment, exhaust & mufflers, auto electrical and engine diagnosis. Our mechanics who know your Land Rover inside and out have the expertise required to service and repair all Land Rover models. We have all the necessary diagnostic equipment for Land Rover. Our mission is to keep you driving safely on the road and enjoying all that your Land Rover has to offer. Audi repair, service and diagnostics just got easier for La Jolla residents. The original specialists now offers Audi dealer alternative service. We are a short drive from La Jolla, California. Our convenient location combined with our top of the line diagnostics equipment and master Audi mechanics makes the best Audi repair and service center that is close to La Jolla. If your Audi needs repair or just scheduled maintenance, give us a call we will be happy to bring you quality Audi service at affordable prices. Summary: Always honest, always fair, always excellent work. Description: I have a 1965 XKE that has been cared for by this group for over 20 years. Always honest, always fair, always excellent work. Why Does My Car Shake While Driving? Should You Be Worried About Car Hacking! Copyright © 2013 The Original Specialists. Marketing and Design by Partners in Local Search LLC. All rights reserved.